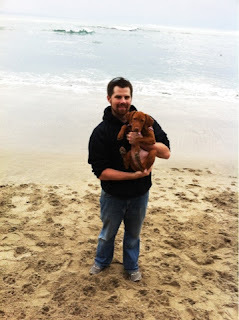 Yesterday, we drove to Half Moon Bay for Riley's first Vizsla walk there since she was only about 12 weeks old (she's been on the trail there several times since then, just not with the Vizsla group). We were excited to discover that her sister Penny would be there as well. The pups had a blast swimming after sticks, playing keep-away with said sticks, and wrestling (WWF style) all over the beach. There was even some hunting action at one point when the dogs discovered birds out in the bushes and trees on the walk back. We ended the day with a delicious, albeit expensive, lunch at the Flying Fish. Riley was so exhausted that she fell fast asleep with an eye full of sand. I ended up rinsing her eyes with saline and giving her a bath when we got home. The bay water might be nice and calm, but it sure does stink! Baby Riley on her first HMB Vizsla walk! 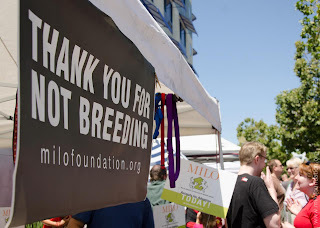 As a side note, I noticed this picture on my facebook feed today as part of a compilation of adoption event pictures for the Milo Foundation. Unfortunately, I can't tolerate this kind of stupidity, so they have been "unliked". Do they really think that this will deter any irresponsible idiots who breed their dogs just to make some money on Craigslist/eBay or create puppies for fighting? 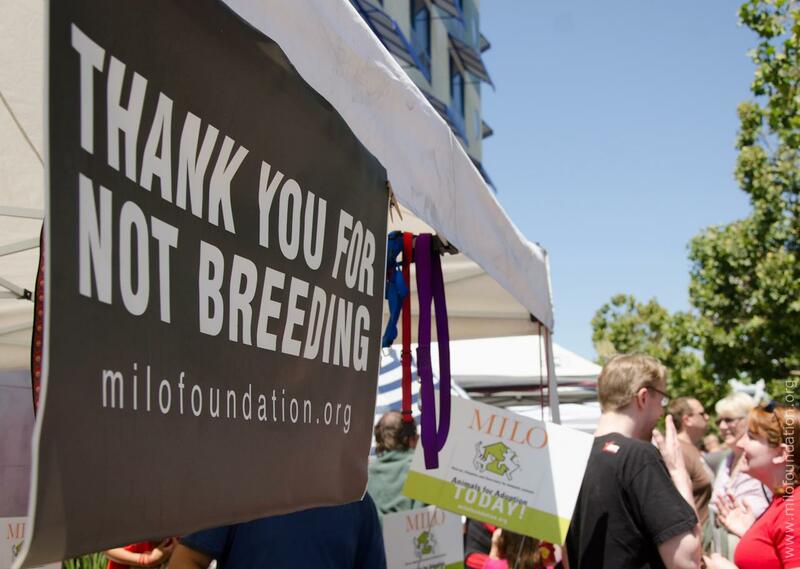 Thank YOU, Milo Foundation, for all the dirty looks I get when I say I may breed Riley someday and for helping to further the hatred toward responsible hobby breeders.